There is a large community of PHP developers in Vietnam and they’re an asset for web and software development. This article talks in detail about the hiring of PHP developers in Vietnam. PHP is a programming language that can be found all over the web. Some estimates say that 80% of the internet is sites running on PHP. WordPress plays a huge part of this statistic, but PHP has also played a major role in web software like Facebook, Wikipedia, Etsy and Mailchimp, plus Slack. PHP has a lot of strengths. It’s open source, popular, well documented and can be used effectively for many purposes. PHP is flexible in its use and allows rapid development. However, perhaps because it’s so flexible and easy to learn, it is responsible for a large part of the “spaghetti code” that can be found on the internet and can suffer from a lack of security. What does a PHP Developer do and know? Communicating with other services using protocols such as LDAP, IMAP, SNMP, NNTP, POP3 and HTTP. A PHP developer is generally responsible for writing clean code. In general, PHP developers will build back-end components (including plugins), connect with other web services and support the integration of their work to the application/website. They should resolve issues and document their work effectively. A PHP developer should have knowledge of PHP (obviously) and should have experience with a range of frameworks such as Laravel, CodeIgniter, CakePHP, Zend, Symfony or Yii. Laravel and CodeIgniter are for websites, while CakePHP and Zend are for applications. PHP Developers should also be able to work with a range of front-end languages, databases (often MySQL) and hosting options (including AWS). PHP Developers are abundant in Vietnam, with a similar level of availability as Java, .NET and C/C# developers. Most PHP developers are skilled in PHP Version 5, and increasingly, Version 7. Knowledge of frameworks such as Laravel, CodeIgniter and Zend is common. 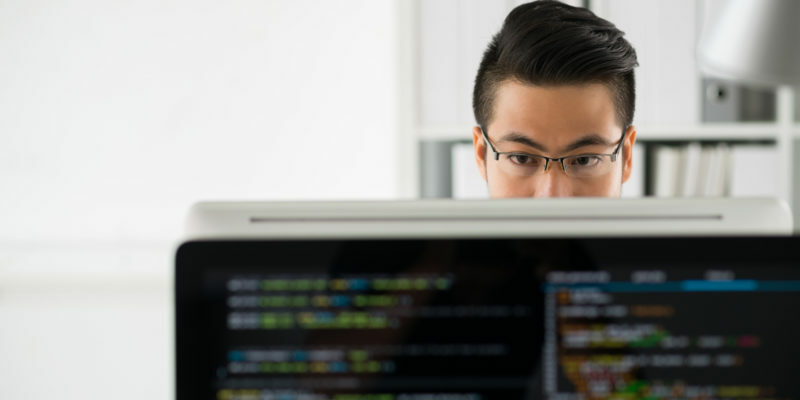 There are a range of considerations if you’re looking to build a hire a PHP developer or a team of PHP developers in Vietnam. The gross monthly salary range for a junior developer will rarely exceed $800 USD. The gross monthly salary range for a mid will rarely exceed $800 – $1,500 USD. The gross monthly salary range of a senior will rarely exceed $1,300 – $2,500 USD. However, salary expectations can be highly variable. Applicants will consider the attractiveness of the project or the company, the career progression opportunities, and the working location. A premium may be paid for high level of English or value-adding capabilities like project management, team leadership or software architecture. Remember that salaries are subject to taxation and social insurance. There is also an expectation of a 13th month bonus and a range of employment benefits. There is a large pool of PHP developers in Vietnam. Various job listing sites exist, including ITViec, Stack Overflow and GitHub Jobs. There are many who work as freelancers: Upwork or Freelancer can be a good way to engage with this community. Tell me about yourself and your programming experience. How do you keep up with latest changes to web and software development? What would you change about your least successful project? What do you find difficult about programming? How do you test your code? What is your preferred development environment? Have you ever worked directly with clients? Have you ever lead a team? What are your strongest ‘soft’ skills’? Why did you leave your previous role and what do you want from this role? Of course, you may not have time to ask all of these, so be selective and match the questions to the role and seniority of the specific developer. You should also consider the balance between closed (yes/no) and open questions (how/why). Tell me more about the company and the project. What tools and technologies does the team use? Is this team an Agile team? What about career path? Is training offered? Are You Building a Team in Vietnam? Whether its recruiting for a specific role or building a full offshore software development team, we can help.